From one of my previous posts, we went through the steps to setup a Concourse CI Server on Ubuntu . 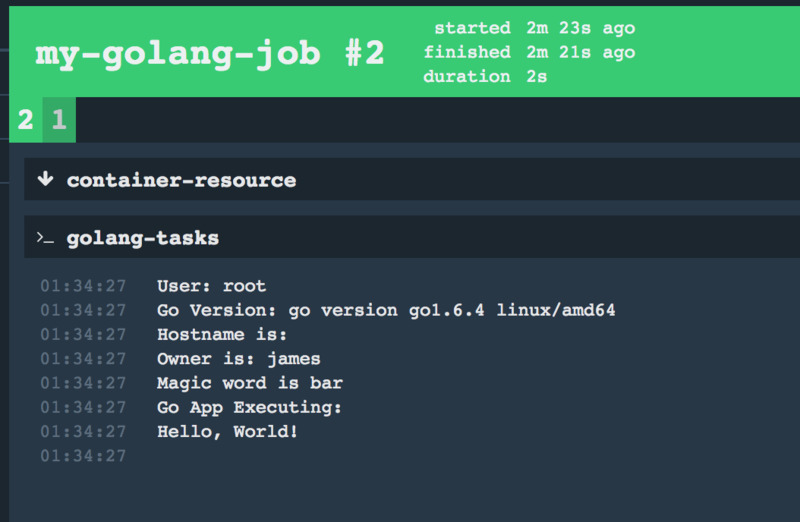 Today we will setup a basic pipeline that executes 2 jobs, one using a alpine container that runs a couple of shell commands, and the other job will be using a Golang container to build and execute a golang app. I will also be experimenting with auto trigger, that will trigger the pipeline to run its jobs every 60 seconds. echo "Public IP is: `curl -s http://ip.ruanbekker.com`"
echo "Magic word is $MAGIC_WORD"
echo "Go Version: `go version`"
running /bin/sh -c echo "User: `whoami`"